Botswana is a landlocked country within Southern Africa that shares borders with Angola, Namibia, South Africa, Zambia and Zimbabwe. The country is located within the shallow basin formed by the interior plateau of southern Africa. Nearly three-quarters of the country is covered by the Kalahari sands, which fill the basin to a depth of up to several hundred meters. The majority of Botswana's land surface is nearly flat, with a mean altitude of 1,000 meters above sea level. The southeast of the country, and isolated inselbergs in the northwest, has slightly more clayey and fertile soils (MWTC, 2001). Botswana has a thriving diamond mining sector, the revenue from which the government has used to drive one of the fastest growth rates per capita in the world (USDS, 2010). The diamond sector accounts for around one-third of the country’s Gross Domestic Product (GDP) and 70 per cent of its export earnings (USDS, 2010). Tourism is also a major industry in Botswana, accounting for 10 per cent of the country’s GDP. The major tourist attraction in the country is the Okavango Delta, located in northwest Botswana, which is popular for gaming and safaris (USDS, 2010). Approximately 50 per cent of Botswana’s rural population is still dependent on subsistence agriculture for their livelihoods, despite less than 5 per cent of the country being suitable for cultivation (MWTC, 2001; USDS, 2010). In addition, almost 50 per cent of the population of Botswana relies on livestock for in-kind income, including food, draught, milk and skins. This activity is culturally very significant (MWTC, 2001). Climate change considerations in Botswana are championed by the National Committee on Climate Change and representatives from government departments and ministries, non-governmental organisations and the private sector regularly meet to discuss climate change issues and the possible impacts in various sectors. Whilst there is no dedicated policy to respond to climate change in Botswana, the potential for future climate change and the associated environmental threats is acknowledged in the National Development Plan. Climate change issues are addressed in a combination of different policy areas with a common focus on sustainable growth. Specific climate adaptation and mitigation policies are already in place in some sectors, such as the strong governmental support for solar energy technologies in the energy sector. Botswana is believed to be a net sink for greenhouse gases, since emissions resulting from the burning of fossil fuels in Botswana in 1994 were small and were more than balanced by a net increase in the size and number of trees. The greenhouse gases reported here are carbon dioxide, methane and nitrous oxide. Excluding the uptake of carbon dioxide through tree growth in Botswana, the climate-changing effect of the emissions are 52% due to carbon dioxide, 33% due to methane and 16% due to nitrous oxide, and the sum is equivalent to about 0.02% of the global anthropogenic emission (IPCC, 1995). The sectoral origin of the CO2 equivalent emissions in 1994 was as follows: 57% agriculture, 17% electrical power generation, 10% mining and industry, 8% transport, 3% domestic heating and cooking and 1% government. Botswana boasts of unique ecological features that constitute her natural resources base. These are however vulnerable to climate variability and the prime challenge is to achieve sustainable management of renewable natural resources in a semi-arid environment amidst a rapidly growing human population. Other challenges include competing land-uses, poverty, inadequate coordination of natural resource-use regimes, and lately the HIV/AIDS epidemic. If left unmanaged, these can lead to a general decline in the natural resources base typified by low agricultural yields, reduced wildlife populations and distribution, reduced yields in fishing and veldt products, and consequently reduced opportunities and choices especially for rural communities. To view progress on Botswana's SNC click here. Botswana is a landlocked country within Southern Africa that shares borders with Angola, Namibia, South Africa, Zambia and Zimbabwe. The country is located within the shallow basin formed by the interior plateau of southern Africa. Nearly three-quarters of the country is covered by the Kalahari sands, which fill the basin to a depth of up to several hundred meters. The majority of Botswana's land surface is nearly flat, with a mean altitude of 1,000 meters above sea level. The southeast of the country, and isolated inselbergs in the northwest, possesses slightly more clayey and fertile soils. Climate change considerations in Botswana are championed by the National Committee on Climate Change and representatives from government departments and ministries, non-governmental organisations and the private sector regularly meet to discuss climate change issues and the possible impacts in various sectors. Whilst there is no dedicated policy to respond to climate change in Botswana, the potential for future climate change and the associated environmental threats is acknowledged in the National Development Plan. Climate change issues are addressed in a combination of different policy areas with a common focus on sustainable growth. Specific climate adaptation and mitigation policies are already in place in some sectors, such as the strong governmental support for solar energy technologies in the energy sector. Botswana boasts of unique ecological features that constitute her natural resources base. These are however vulnerable to climate variability and the prime challenge is to achieve sustainable management of renewable natural resources in a semi-arid environment amidst a rapidly growing human population. Other challenges include competing land-uses, poverty, inadequate coordination of natural resource-use regimes, and lately the Human Immunodeficiency Virus/Acquired Immune Deficiency Syndrome (HIV/AIDS) epidemic. If left unmanaged, these can lead to a general decline in the natural resources base typified by low agricultural yields, reduced wildlife populations and distribution, reduced yields in fishing and veldt products, and consequently reduced opportunities and choices especially for rural communities. Rural dwellers have traditionally relied on natural resources for their food, housing materials, medicines, household implements, energy and cultural activities, on a sustainable basis. As resources scarcity increases, population sizes increase and resource management regimes go beyond local structures, people tend to harvest beyond even what they know as sustainable levels, just to meet immediate needs, in turn compromising the regeneration capacity of the resource. Arresting this situation requires a range of interventions from policy and legislative reform, to coordination of environmental protection with national development efforts. Livestock farming and arable agriculture are the most common forms of land use. An increasing number of local communities are now also utilizing wildlife as an additional land-use and economic activity. The last decade has seen an increase in public participation in management and use of natural resources. This has been facilitated mainly by Government’s decision to devolve natural resources management and user rights to local communities in the form of Community Based Natural Resource Management (CBNRM). In addressing environmental concerns and increase people’s choice in development, public education and awareness activities are being undertaken by environmental organisations within and outside Government. This people -centered management of natural resources and the environment is further entrenched through the newly promulgated EIA legislation which makes provision for public participation, and requires consultation with communities most likely to be affected by major developments. Human health: Climate change is expected to impact human health by altering disease transmission, including malaria and pediatric diarrhea. Actions required to adapt to these climate change related diseases include improvement of the health care system, disease surveillance, enhanced public awareness, improvement in drinking water supplies and sanitation, and improved drainage. Freshwater supply: Ground water comprises 64 per cent of all water consumed in the country, with 80 per cent of the population and the majority of livestock depending on boreholes and well fields. The main adaptation options for Botswana’s freshwater sector are inter-basin water transfers, water purchase agreements with neighboring countries, and an increase in internal water recycling and conservation. Forestry: With a decline in annual precipitation, climate change models foresee an expansion of thorn and shrub savanna, with a decline in grasslands, forests and woodlands; however Botswana’s National Communication notes that there is considerable uncertainty associated with these projections. It recognizes that many adaptive actions are already taking place in this area, including control of deforestation and community based natural resource management. Grazing and Livestock: The livestock sector, which almost 50 per cent of the population relies for in kind income, is dependent on grazing in natural rangeland and therefore it is very susceptible to changes in climate, especially increased occurrences of drought. Adaptation options in this sector include community based natural resource management, the introduction of policy incentives to encourage sustainable herd management, regulation of animal numbers and grazing practices, and a diversification of livestock species. Agriculture: Should annual rainfall levels decrease going forward, potential yields from the staple crops of maize and sorghum may decline by around 30 per cent. Should the future be wetter and warmer, sorghum production and maize yields may increase slightly. Adaptation options in this sector include national food security programs, drought early warning systems, the import of cereals, crop shifting, yield sharing, minimum tillage farming, analysis of optimal planting dates, and food aid for rural populations. 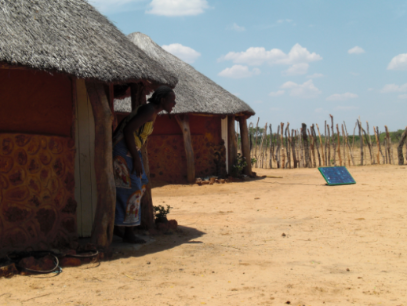 Research: Botswana’s National Communication identifies a need for improved interpretive capacity of environmental observations and climate models, including a need for technology transfer and capacity building in predictive modeling methods. The Swedish International Development Agency (SIDA) published an environmental policy brief on Botswana in 2008 which also identifies several of these key adaptation priorities for Botswana. In particular, the report highlights key adaptation priorities for the water sector, including: inter-basin water transfers, water purchase from neighboring countries, internal recycling of water, and water conservation (Wingqvist and Dahlberg, 2008). Other adaptation priorities identified in the report are: community-based natural resources management to address woodlands and grazing practices; policy incentives and regulatory measures for sustainable herd management; and encouragement of traditional coping mechanisms such as shifting to other agricultural activities, early drought warning systems, and minimum tillage farming methods in order to conserve of soil, water, and carbon. Through its goal of attaining sustainable management of natural resources, Botswana’s recently released National Development Plan (NDP) of 2010 calls for a strategy that mainstreams environment and climate change into development processes, improved numerical weather predictions, and the implementation of a community based natural resource management policy (MFDP 2010). The NDP recognizes the importance of adaptation for the country’s broader development efforts, noting that “Without proper planning, the lack of adaptation to climate change may impact heavily on the country’s long-term development” (MFDP 2010). As well, through a national Environmental Protection Program, the country plans to focus on developing adaptation strategies for economic diversification, agriculture, malaria eradication, etc. The program will also undertake a study of the most vulnerable sectors and priority areas to advance early adaptation, serving as an update to the National Communication research which was undertaken in 2001. There is currently a low level of adaptation programming occurring in Botswana relative to its southern African neighbors. These current projects focused on capacity building, research, policy formation and integration, and community based adaptation in the areas of governance, agriculture, human health, disaster risk management and ecosystem conservation. International organizations involved in the funding and implementation of these activities include the International Development Research Centre (IDRC), International Foundation of Red Cross and Red Crescent Societies, German Federal Ministry for Research and Education, German Ministry for Economic Cooperation and Development, SIDA and the United Kingdom’s Department for International Development (DFID). Botswana is proposed to be part of a regional project submitted to the Special Climate Change Fund (SCCF) for consideration. The project "Community Adaptation to Climate Change in the Limpopo Basin" would be undertaken with Mozambique, South Africa and Zimbabwe. Outside of this initiative, the Government does not appear to have formally proposed projects, although its 2010 National Development Plan establishes a commitment to do so. Botswana’s National Communication identified a number of specific adaptation policy measures that may be used to address the impacts of climate change in the areas of human health, freshwater resources, woodlands and forests, grazing and livestock, and crop agriculture. The country’s few current adaptation activities do address some of these adaptation options, namely agriculture and human health. Analysis as to whether Botswana’s most pressing adaptation needs are being addressed is hampered by the lack of prioritization of adaptation options according to level of urgency. The National Development Plan of 2010 indicates that this analysis is forthcoming, which will help ensure that future adaptation programming addresses priority needs. In light of existing gaps, this programming could address identified needs in the areas of freshwater resources, woodlands and forests, and grazing and livestock. There is also a need to address a wider variety of adaptation measures within the agriculture, health, disaster risk management, governance and ecosystem conservation sectors, and potentially to projects that specifically address the gender dimensions of climate change.